“Welcome back to the Balloon Olympics. For our next competition – we have the Balloon Bottom Relay Race. Before we get to the rules, let’s meet our contestants. To start, one member from each team runs to the mid point popping station where you’ll grab a 17” balloon and sit pop it (25 per team). PLEASE NOTE: no hands or fingernails can be used – only your bum! 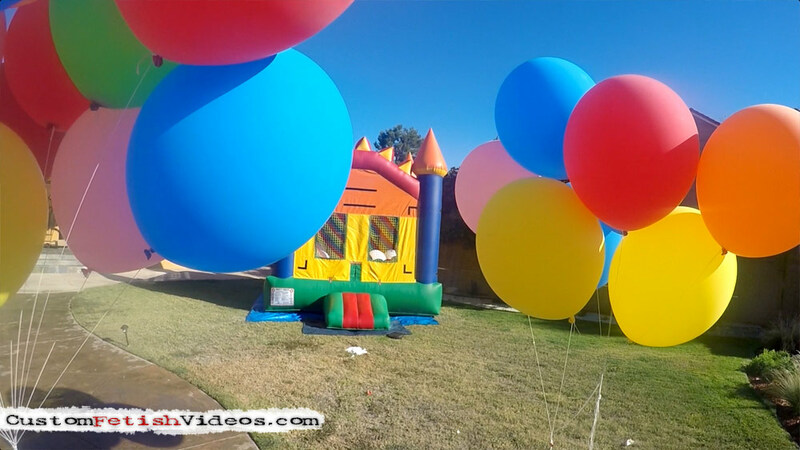 If you lose or pop a balloon from the bounce house along the way, you have to turn around…run back to the bounce house…and grab a white, air-filled balloon. You don’t need to waddle or hop back with it, simply run to the “penalty pop station” & sit to pop it. Then you alternate/tag team with your other teammate and she does the same routine, until all 50 of your team’s balloons are popped. Lastly BOTH team members head to the bounce house and grab one of the jumbo 36″. You can carry it to the popping station and BOTH team members can bounce and sit to pop it together. The first team to pop all 50 of their balloons AND a glorious air filled 36” balloon, WINS THE RACE!! !